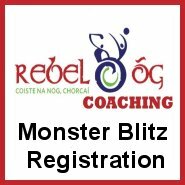 The Munster Super 10’s is a competition run by Munster Coaching & Games for clubs throughout the Province. 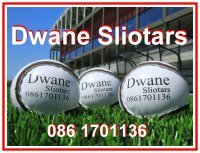 It is played at 10 a side with a panel of 12 players and is open to all clubs with a choice to play football or hurling. The games are fast, action packed and competitive. The novelty of playing 10 a side has proven a big hit with the players as it is a refreshing change to the 15 a side game. The competition starts with a blitz day on the 26th May involving 4 teams at a central location. Clubs have to be open to travel but the venues and groups will be devised to limit travel where possible while giving clubs the opportunity to play against unfamiliar opposition. Each club plays 3 games on the day and the group winners will advance to the finals in Mallow on the 16th June. Games are played at 10 a side and the games are played 21 to 21 using u12 size portable goal posts. The games are approximately 12 minutes per half but after playing 3 games this is more than adequate. Clubs are asked to guarantee all players a minimum of 30 minutes playing time. Clubs should contact their local GDA if they have any questions on this event. If happy to enter, then just complete the form below.! However, before you enter, please check that all your players will be available on the day and that you are prepared to travel. In previous years, clubs pulled out at the last minute which is very unfair on the host clubs and other teams in the group. Therefore it is important to have your homework done before completing this form.